Roger Graef, Floods of Tourists, and the Importance of Art History. | In Florence. A Firenze. Roger Graef, Floods of Tourists, and the Importance of Art History. 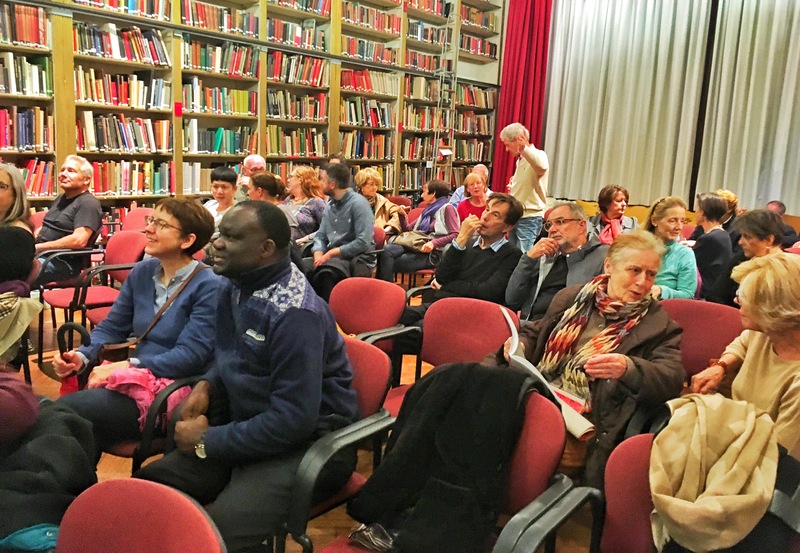 The fantastic, world-renowned director, Roger Graef, gave a talk at The British Institute of Florence on the evening of 2 November 2016. 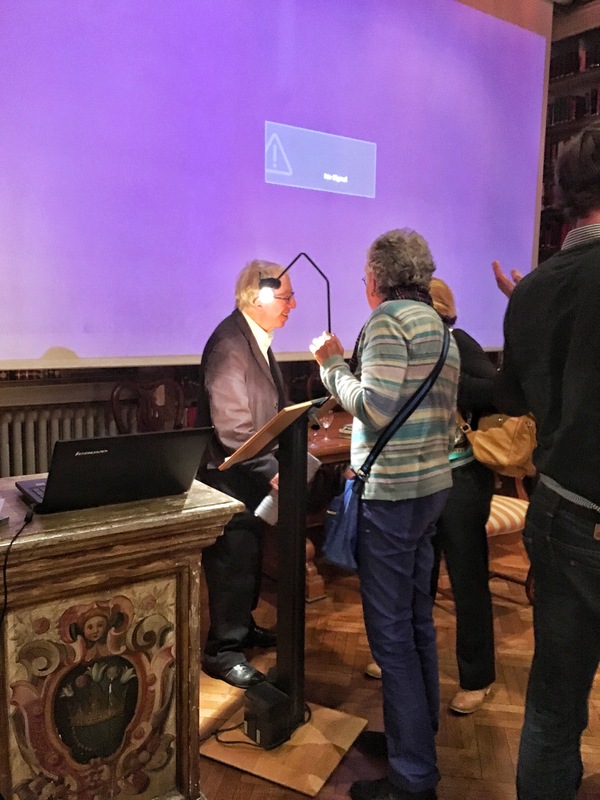 He was discussing his 1968 documentary ‘Why Save Florence?’ which looked at what went wrong in 1966 when the Arno flooded again, this time with devastating consequences. This may seem like a long way in the past, but this November marks the 50th anniversary of the horrific flood, and its aftermath. 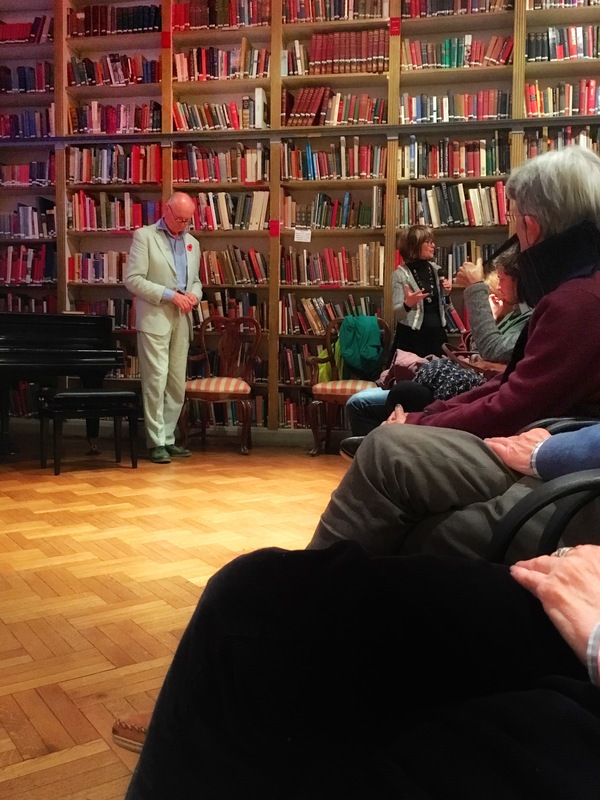 To commemorate this, the B.I.F has dubbed November ‘The Month of Mud.’ They’re hosting a number of events related to the 1966 Flood; Roger’s lecture was the first of these, but there will also be a book release, testimonials from the ‘mud angels’ that helped with the clear up, and documentary screenings. I’ll cover these in more detail as they happen, but check out the B.I.F.’s website for more details of what treats are in store. In his talk, Roger touched on many of the points brought up in the documentary, and he gave us a personal insight into why he wanted to take on the project. In the film you get the sense this was a personal interest for him, as he really connected with the Florentines, even from behind the camera. At the lecture, the same thing came across. From the deeply engaged way he talked, you could tell his passion for this project hadn’t died in the intervening years. It seemed to be a journey that had really stuck with him. I don’t want to give anything away about the film, but once you’ve watched it, you’ll understand why. There was something about the way he talked that had the whole room hanging off every word, which in my mind, is something very special. Once Roger finished talking, he opened the floor up to discussion, and what an interesting discussion it was! I have to admit he brought up a few things I was going to discuss separately, but seeing as they fit with this, I thought I’d kill two birds with one stone. To begin with, he conjectured that the new flood facing Florence is not one of water, but of tourists. This seemed to strike a chord with many in the audience, who heartily agreed. After much debate, the reason for problematic numbers of tourists seemed to boil down to one root cause; the inability, or unwillingness of government to impose (more) restrictions, or to try to regulate the flow. Instead of water blocking the streets, local haunts, or the city’s famed galleries, it is now bus loads of visitors. In coming to this conclusion, another topic was raised. The UK’s recent decision to drop the Art History A-Level, amongst others. It was brought up when someone proposed that the hoards of tourists would not be so bad if they actually appreciated the art before them. Many instead just take the photo, check it off on their list, then move on. As sad as I find this, it is not because these people are able to view the art, or their numbers make viewing difficult, it is more that they are missing out on the proper experience. A few members of the crowd joked that we should only allow people who appreciate the works, to visit them. I could not disagree with this more. The strongest sentiment I have towards art, is that it should always be accessible, and to everyone. Yes, viewing Boticellis in the Uffizi alongside 30 other tourists is not the ideal scenario, but you cannot blame them. Who knows, their 30 second glance at one of the paintings might actually inspire them to look into the subject more, in turn spiralling into a new passion, or even a career. The problem lies at the top. Social media perhaps hastened people’s desire to see the beautiful gem of Florence, but it has also promoted only a snippet of life here. At the same time, this could partly be the solution to the problem. If the government promoted all of Florence’s museums, galleries and exhibitions equally, the flow of tourists would be better dispersed. If you happen to be in Florence Friday 4 November 2016 at 19:00, the premiere of ‘Why Save Florence?’ is screening in our Harold Acton Library. Or if you can’t make that, a subtitled version of the film is screening at the Odeon, on Sunday 6 November at 16:00.